Dr. Presniak graduated with a Ph.D. in Clinical Psychology in 2009 and began offering Neurofeedback as part of her clinical practice in 2011. Over the course of her career, she has offered Neurofeedback to more and more patients after seeing positive results that went beyond traditional psychotherapy. She since has dedicated her career to becoming an expert in understanding the EEG and offering the most advanced Neurofeedback treatments. She became Board Certified by the Biofeedback Certification International Alliance (BCIA) in 2014, the first psychologist in Ottawa and one of very few psychologists in Canada who have this certification. She opened the Ottawa Neurofeedback Centre in 2014 to ensure the Ottawa community had access to this evidence based approach. First starting with traditional neurofeedback training, Dr. Presniak has since trained extensively in QEEG analysis and offers comprehensive QEEG assessments as well as diagnostic assessments which include QEEG mappings. She has trained in neurostimulation as well as multiple forms of biofeedback, including heart rate variability, single channel neurofeedback, and LoRETA neurofeedback. Dr. Presniak is successfully employing Neurofeedback to treat many conditions, ranging from those that are chronic in nature and difficult to treat (i.e., severe PTSD, OCD) or have minimal treatment options (e.g., autism spectrum, concussions) to those that may be mild in nature (i.e., attention, performance based skills, stress). Dr. Presniak has seen Neurofeedback help individuals make progress that they were unable to with multiple traditional forms of treatment. 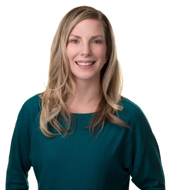 Dr. Presniak merged her clinic with Allison Wood (Woodcrest Therapy) so that together they could offer the most cutting edge neurotherapy treatments to clients in the Ottawa area. Clients who come to the ONPC can trust that they will receive a thorough assessment and innovative treatment that has been customized to their needs and goals.